I’ve written about this Android feature before. I am a bit obsessed about it. I have two things I would love to know how to do with this information. 1/ Access it via an API so I can favorite it my favorite streaming service (which is SoundCloud but Spotify and Apple Music would be great too). 2/ See the history someplace on the web so I can search it by time, place, artist, song, etc. 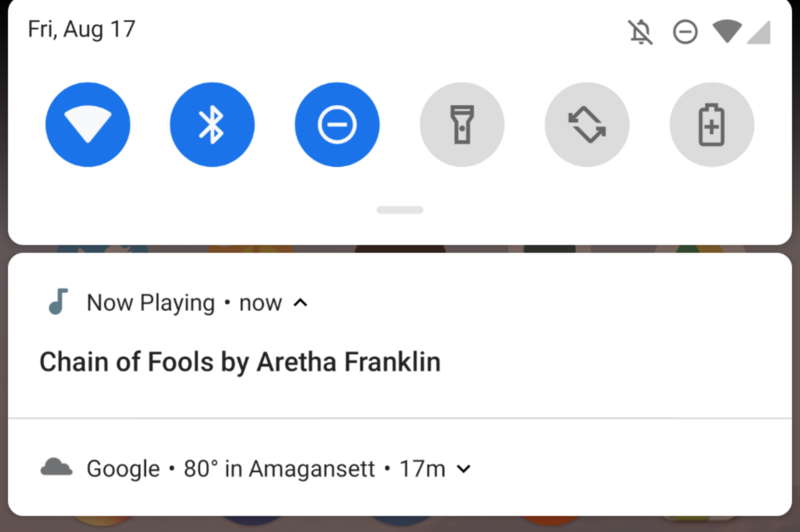 This is an example of where taking an app like Shazam or Soundhound and turning it into a feature in the operating system can open up a lot of potential.